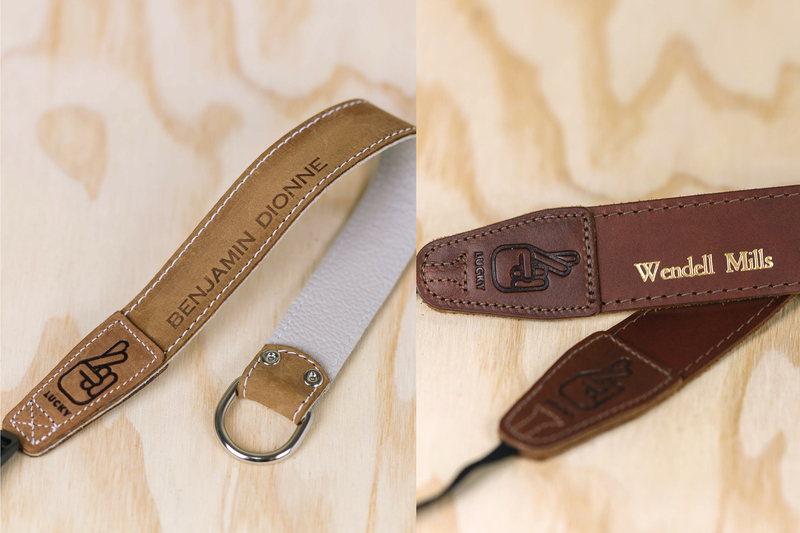 Our newest wrist strap is designed and constructed just like our other 'Simple' straps. It's a little different to our other wrist straps with only one piece of leather making up the body, the backside is unfinished and it looks and feels awesome! The leather strap threads through its own metal D ring allowing you to quickly tighten or loosen the strap around your wrist.This colour features no accents stitching on the main body for a super minimalist look, we love it! We have been hunting all over the world to find the perfect replacement for our sold out 'Natural Brown' Simple 20 range.... We didn't find one, we found two!!! Say hello to the most beautiful Italian vegetable tanned leather we have ever seen. It is 3mm thick, the perfect combination of comfort and durability. This colour is the darker of the two, a beautiful Cognac brown with darkened edges from the hand finished wax. Every strap in the New Simple 20 range has no accent stitching on the main body for a super minimalist look and the ultimate comfort. We have taken our super popular Simple 40 strap and slimmed it down to exactly half the width making it perfect for smaller cameras! It's name comes from the design philosophy, we aimed for a minimalist look to compliment you camera without distracting from it. The construction of the main part of the strap uses just one thicker piece of leather rather than two like our Slim 30 and Standard 53. The leather we have chosen looks great and softens up after just a few uses. It will have some natural marks especially on the back side which is unfinished. To put it simply, yes! Wrist straps are one size fits all so you only have to decide if you want our thinner Simple 20 Wrist strap that is 20mm wide or our regular 30mm wide wrist strap. We have designed these straps to be worn all day with the heaviest pro DSLR setups so you can rest assured they are strong enough. If you are looking for a weight I have lifted a 12kg kettlebell with a wrist strap without it breaking, but I hope your camera is not that heavy! I am by no means a professional photographer-It’s a hobby I picked up less than a year ago, but it’s quickly becoming an obsession. I upgraded very quickly from the stock strap to a well known brand of camera straps that attached to the tripod connection. I hated it. It was too short while on my shoulder, but too long and in the way when wrapping it around my wrist. Plus, the connection came undone and I dropped the camera. After the sixth or seventh time I dropped nearly $1000 worth of equipment because of a faulty strap, I began looking for something else. I wanted a wrist strap because I usually hand hold while I shoot, and I wanted leather because I wanted something that would last. I stumbled upon Lucky Straps on instagram. Shipping to the States was surprisingly fast, and the quality of the strap is phenomenal. The connection feels solid and the leather is the most amazing quality I’ve ever seen- strong, but velvety soft from day one. I carry my camera everywhere now because it feels so natural in my hand with this strap. If I’m ever in the market for another strap, Lucky Straps will be my first stop!